The Crucial: everything you want, none you don't. 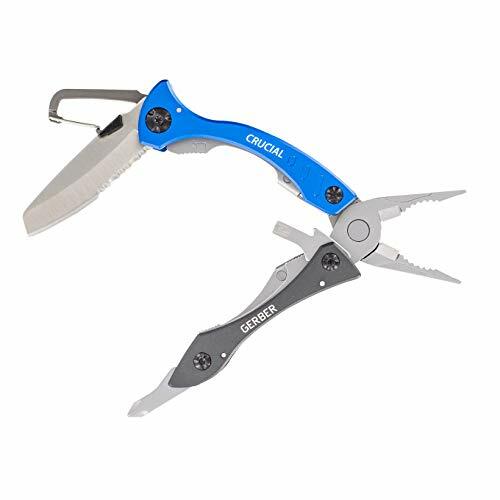 Use the Crucial' s partially serrated blade to make short work of rope cutting or package opening and tighten down loose screws around the house, the office, or out on a work site with the Phillips or flat head screwdrivers. In addition to the knife and screwdrivers, this tool contains a nicely long pair of needle nose pliers, a bottle opener, V-cut wire cutters, a carabineer clip and an ingenious pocket clip, making it the shrewdest of daily carries. The handles of the tool are ergonomically curved for a solid grip and increased torque.